The Serious Games Association disclosed Sunday evening the winners of the 2015 International Serious Play Awards competition. The program recognizes outstanding examples of titles that deliver a high quality of engagement and measurable learning opportunities. This Serious Games Conference is produced by the Serious Games Association (SGA), an international organization for everyone in the Serious Games industry. The SGA is headed by Sue Bohle, Executive Director, a former educator with more than 25 years’ experience in the game industry. 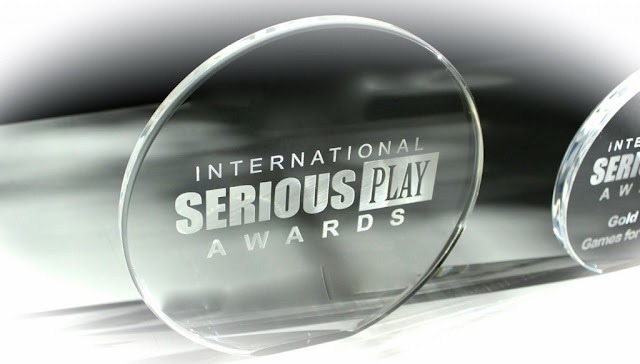 The International Serious Play Awards, part of the major conference, recognizes outstanding work in Serious Games development, honoring games and sims offering high quality engagement and measurable results. Separate categories honor exemplary products in the education, corporate, government/military, health care and consumer/games for good markets. Any organization or individual that has created or contracted for a Serious Game or simulation using commercial off the shelf (COTS) platforms is eligible to enter the awards program. Universities may also submit student work for a separate student award section. All titles are also eligible for Certification by Serious Play Conference’s Awards Judging Committee.